The Global Antisemitism Review Act of 2004 requires the Secretary of State to designate an individual to this important position. According to the State Department, the office "advocates U.S. policy on antisemitism both in the United States and internationally, develops and implements policies and projects to support efforts to combat antisemitism." There have been bipartisan calls to fill this position. Yet the Administration still does nothing. Meanwhile antisemitism across the world continues to rise. In March, an 85-year-old Holocaust survivor was stabbed to death in her Paris apartment in an apparent hate crime. According to the president of the European Jewish Congress, antisemitism has become mainstream and normalized at a level not seen since the Second World War. It is "unashamed and explicit." The rise of the far-right in Europe, like in the U.S., is directly related to the escalation of antisemitism. We are unable to help Jewish communities deal with hatred if we don't have the proper resources. We are also hindered in our ability to work with groups and organizations in Europe who are tirelessly working to stamp this out. Newly confirmed Secretary of State Mike Pompeo has pledged to give the State Department back its "swagger." That's not what we need. We need action. Pompeo must take antisemitism seriously, fill the position, and show the world that the U.S. will be a leader in this fight to eradicate hatred. History has shown us the devastating consequences of standing still. Call your Senators (202-224-3121) and urge them to pressure Pompeo to fill the vacancy. Israeli Prime Minister Netanyahu's coalition quietly pushed through a bill on Monday expanding his authority to order military operations. The Israeli parliament has approved a law empowering the country's prime minister and defense minister to declare war without full Cabinet approval in "extreme circumstances." 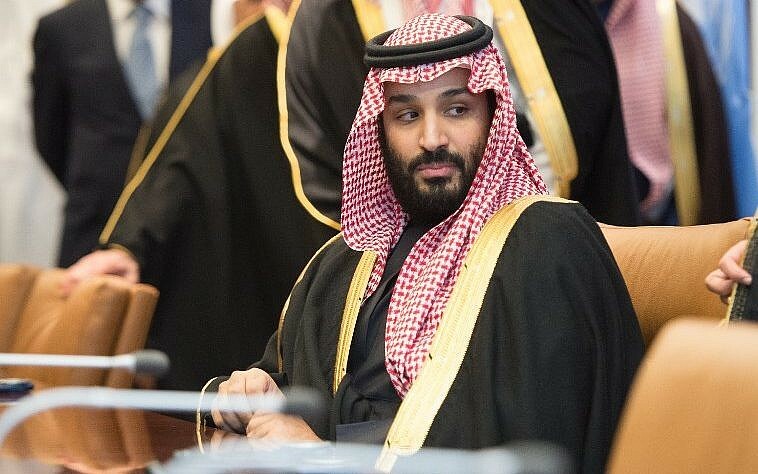 The prince of Saudi Arabia harshly criticized Palestinian leadership during a meeting with American Jewish organizations, slamming PA President Mahmoud Abbas for rejecting peace offers. "In the last several decades the Palestinian leadership has missed one opportunity after the other and rejected all the peace proposals it was given." In three bold moves this week - with F-15s, a PowerPoint presentation and the passage of a contentious new law - Prime Minister Benjamin Netanyahu has strengthened his hand in trying to foil Iran's strategic ambitions, while potentially pulling the two nations closer to direct conflict. The Westmoreland News published an entire KKK flyer, with anti-Semitic and racist language and contact information. "When I look into a newspaper from my community, I expect to be informed about the happenings of my local atmosphere. I don't expect to feel threatened, belittled, and unwanted," Facebook readers complained. 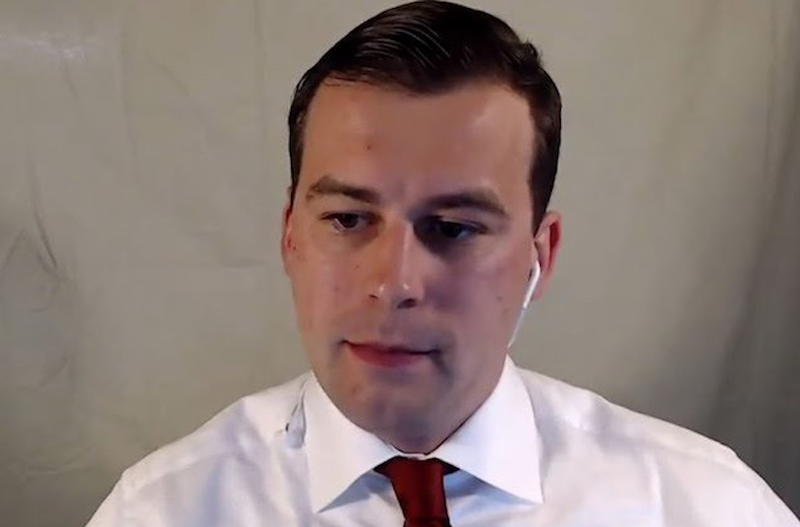 Patrick Little, a top challenger to U.S. Sen. Dianne Feinstein, has been endorsed by former KKK leader David Duke. Little said he "woke up to the Jewish question and dedicated my life to exposing these Jews that control our country." The primary is set for June 5. Activists, congressional and White House allies are attempting to persuade the Trump administration to restrict federal funds through the Title X National Family Planning Programs from going to health-care providers by reinstating the so-called domestic gag rule. Kellyanne Conway lobbied President Trump to redirect that funding to federally qualified health centers. "This would have devastating consequences, and essentially dismantle the nation's program for affordable birth control and reproductive health care, which 4 million people rely on," according to Planned Parenthood. The Iowa state legislature this week passed a bill banning abortions after about six weeks of pregnancy, one of the stricter regulations in the U.S. should the governor sign the bill. States have successfully put more roadblocks in front of abortion, but federal lawmakers have not had such luck. Here are some recent attempts by Congress to limit abortions. 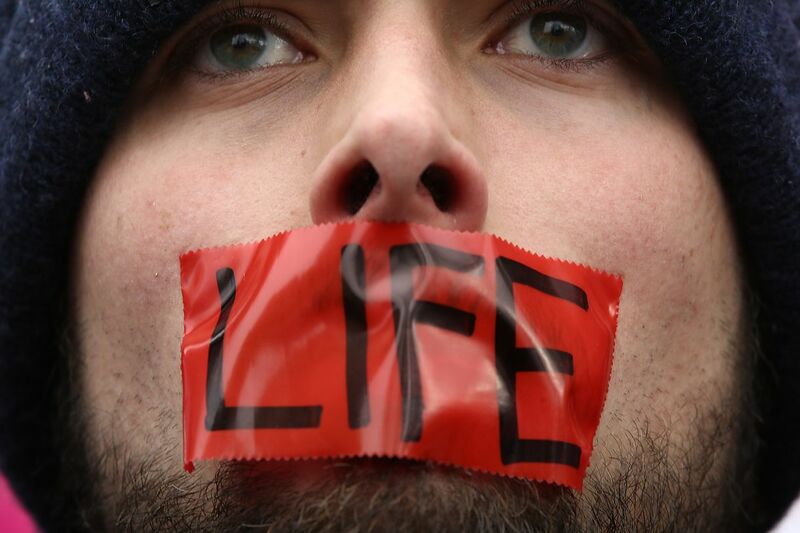 A ban on abortions after 15 weeks was signed by Mississippi Gov. Phil Bryant. Iowa passed a bill banning abortions after a doctor can detect a fetal heartbeat. Kentucky Governor signed a law which limits certain types of procedures for patients pregnant for more than 11 weeks. Indiana requires doctors to report patients' personal information to the state. Trump has successfully nominated Neil Grouch to Supreme Court and will continue to nominate anti-abortion justices. Why Do We Need a Chaplain in Congress, Anyway? Patrick J. Conroy's forced resignation as chaplain of the House of Representatives has opened up a new round of partisan and religious divisions in Congress. We clearly see why it's time to do away with taxpayer-funded, government-supported congressional chaplains. In today's diverse America, chaplains don't unify; they divide and perpetuate Christian dominance in American religious life. The power of the presidency isn't the only way Christian nationalism is advancing its agenda in America today. A coalition of Christian right groups organized a major legislative initiative called "Project Blitz." Its goal is to pass an outwardly diverse but internally cohesive package of Christian-right bills at the state level. Bills are organized into three tiers "according to the degree of opposition they anticipate." The plan is to begin with the less controversial measures to get legislators comfortable with subject matter; seeking small victories first. With the National Rifle Association's convention set for Friday night in Dallas, Texas, one particular quote from Donald Trump on gun violence is a disturbing reminder of what he thinks about this pressing issue. Trump, who will attend the event alongside Vice President Mike Pence, once boasted about his fans' loyalty in 2016: "I could stand in the middle of [New York's] Fifth Avenue and shoot somebody and I wouldn't lose any voters, OK?" 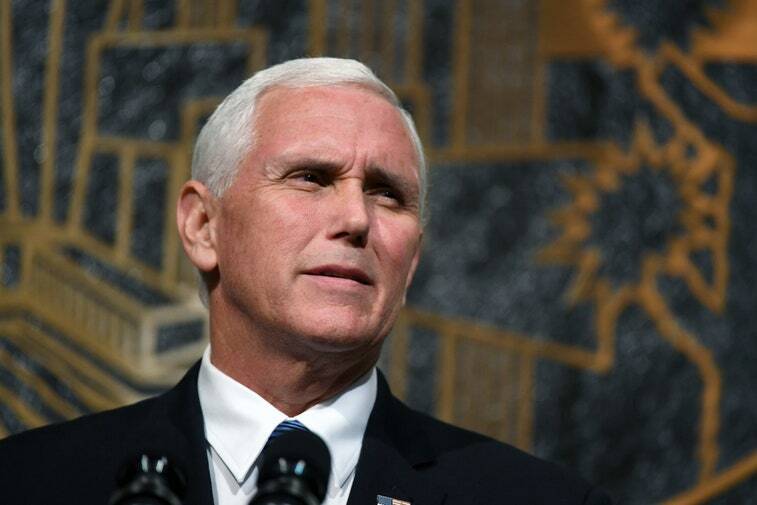 U.S. Secret Service will prohibit "firearms and firearm accessories, knives or weapons of any kind" during Pence's speech at NRA Annual conference. 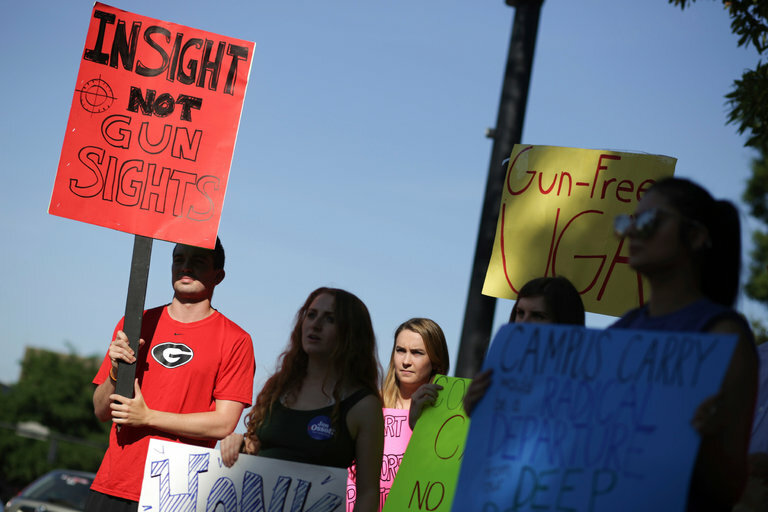 Fred Guttenberg, whose daughter, Jaime, was killed during the Parkland shooting said, "According to the NRA, we should want everyone to have weapons when we are in public. But when they put on a convention, the weapons are a concern? I thought giving everyone a gun was to enhance safety." The American president's attacks on reporters and reporting have become a 'trademark excuse for media repression' around the globe. They're ugly in the U.S., uglier still abroad. All that makes it hard for honest reporters to do their jobs in America. They are arrested covering demonstrations, attacked for asking the "wrong questions" of the wrong public officials, harassed and sometimes beaten. But since Trump won the presidency of the United States, his "fake news" mantra has made life even more difficult-and dangerous-for reporters around the globe. Although nearly two of three young voters polled said they do not like President Trump, their distaste for him does not necessarily extend to all Republicans or translate directly into votes for Democratic congressional candidates. That presents a potential problem for Democrats who have come to count on millennials as a core constituency. Young voters represent an opportunity and risk for both parties. 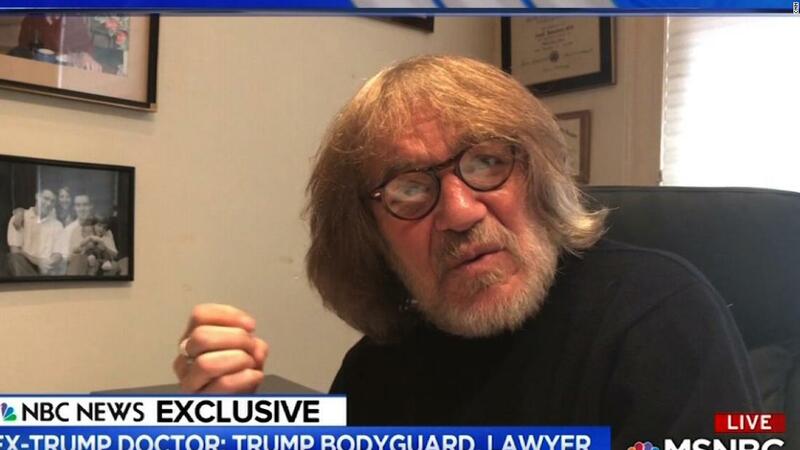 Harold Bornstein, Trump's physician, is a comic character with long hair and odd manner. However, the fact Trump personally dictated a 2015 letter touting his good health is nothing to laugh about. There are at least three white supremacists currently running for Congress, and a fourth running for a state House seat. Two other candidates - one of whom can unambiguously be called a white supremacist, and one who has ties to white supremacist groups but denies being a white supremacist himself - announced runs for public office, but have since dropped out of their respective races. Still more Republican candidates, many of whom are running for re-election, have used white supremacist slogans, invited white supremacists to official government events, or granted interviews to racist or anti-Semitic publications. The history that connects life-long friends, Kitty and Ellen, two nonagenarian survivors of the Holocaust, is unspeakably sad, but the present-day life that sparkles between them makes Leah Galant's film "Kitty and Ellen" a joyful celebration. Up an elegant stairway next to the concert hall at The John F. Kennedy Center for the Performing Arts is the "Concert Lounge dedicated by the State of Israel." 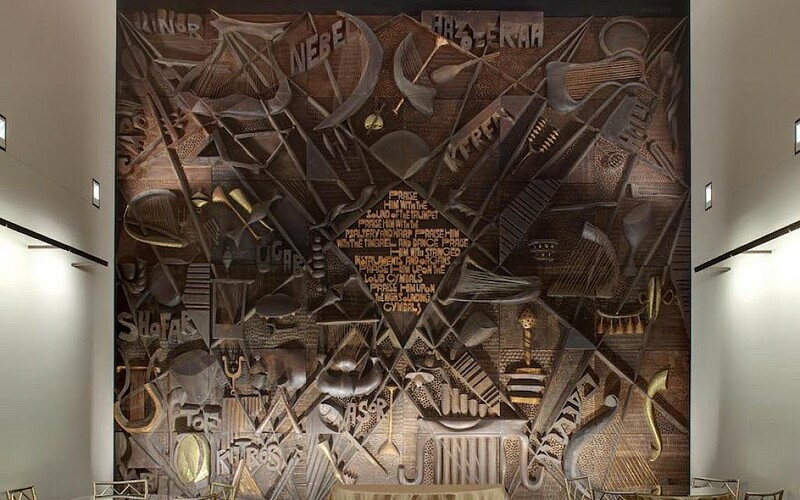 It's a delicate, quiet refuge from Washington that bursts with, well, Israeliness: Paintings and wooden reliefs feature biblical scenes by Israeli artists who were well known in their time. Forty-seven years after it was inaugurated by Yitzhak Rabin in 1971, the lounge is about to get a makeover. "You're telling me to make the VP safe there [can't be] any weapons around but when it comes to children they want guns everywhere? Can someone explain this to me? Because it sounds like the NRA wants to protect people who help them sell guns, not kids."